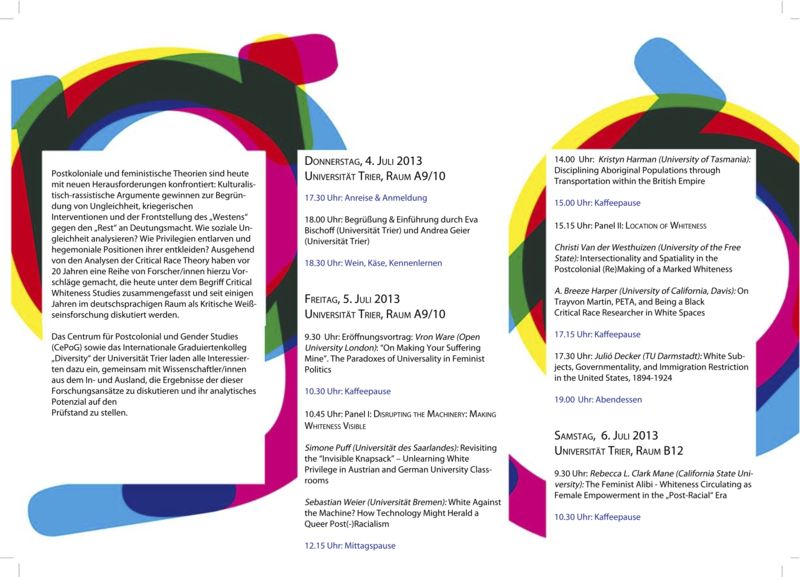 Cooperating with research groups and scholarly organizations on a local, national, and international level, in the summer of 2013, the IRTG Diversity took part in and supported two international conferences at the University of Trier (see also the previous news item). 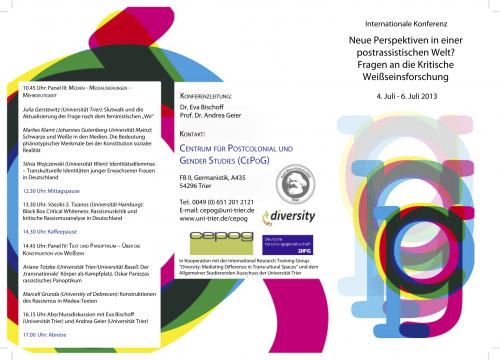 From July 4 to 6 2013, the Center for Postcolonial and Gender Studies of the University of Trier brought together researchers who presented papers on the overall topic "New Perspectives in a Postrace World? Interrogating Critical Whiteness Studies" (see LINK for the conference's programme).